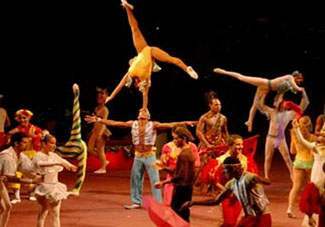 Havana, Havana’s Trompoloco tent, one of the main circus headquarters in Cuba will become a cultural center from next Friday to converge the most diverse artistic expressions. According to the announcement made today by the popular Cuban actress Blanca Rosa Blanco, appointed director general and host of the emerging artistic project, the musical group selected for the inaugural concert will be Alexander Abreu and Habana de Primera, considered one of the best dance music of the country today. “We will work so that this initiative has a distinctive features on this common area, including musicians and actors, as it is also a permanent work offer for these artists and as of course the circus manifestations will also take place there, “said Blanco on the cultural project. We are already working in a TV commercial, as well as the possibility to make reservations online through our website from anywhere on the planet, she said. ‘We have been dreaming about this proposal for years and we have a chronic enthusiasm about it, because the place is air-conditioned and has an impeccable sound system, the perfect conditions to carry out the project “, concluded Blanco. With capacity for 1.500 people, Trompoloco Tent Cultural Center has the necessary conditions for a multidisciplinary show that will also include theater and shadow play.